The BBC World Service will be closing further shortwave broadcasts in the coming year as the international radio station focuses on digital platforms and providing new programmes from younger audiences. The announcement comes ahead of a transfer of primary funding for the World Service, which from April 2014 will receive most of its money from UK licence fee payers. Additional funds will come from advertising on World Service outlets abroad, following a successful pilot of advertising on the World Service's Berlin FM frequency. 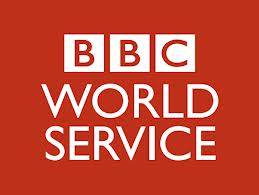 From April 2014, all of the BBC's international services will fall under the "World Service Group", replacing the Global News division. BBC World News TV will still be operated via Global News Ltd as a commercially funded station, outside of the wider changes to World Service funding. Announcing a £8 million investment plan in the World Service, its director Peter Horrocks said "Shortwave listening has been declining. TV is becoming the main source of news in many countries. In our key markets, internet access has been taking off, initially via PCs, and now even more rapidly via mobiles." The investment will help shift more World Service content onto digital platforms, helping contribute towards a £15 million target for savings over the next three years and a goal to reach 500 million people globally by 2022. Shortwave (SW) transmissions are currently restricted to certain times of the day in parts of Asia and Africa, and there are currently no SW broadcasts of the BBC World Service anywhere in the world between 2200 and 0000 GMT. The proposed cuts follow recent reductions in other BBC analogue transmissions, which included the end of broadcasts in western Europe on 648 kHz in 2011. Meanwhile, recent expansions onto digital media, including the Mobile First project in the Hausa language and the launch of TV news programmes in Russian and Urdu has seen sharp increases in BBC viewers and readers internationally. A new commercially funded version of the BBC News website for readers in Africa has been announced to cement recent increases in digital audiences. A global version of BBC Radio 1's Newsbeat is being piloted in a number of languages, including English "to introduce a new generation to the BBC." For BBC internet users in the UK, the World Service and BBC Monitoring is already contributing to BBC News website features including "BBC Trending" and "news from elsewhere". World Service correspondents will be responsible for providing a greater international focus of news and current affairs on the BBC's news programmes in the UK. The BBC World Service is available to all terrestrial TV viewers via Freeview channel 710 in addition to carriage on DAB, satellite, cable and online.